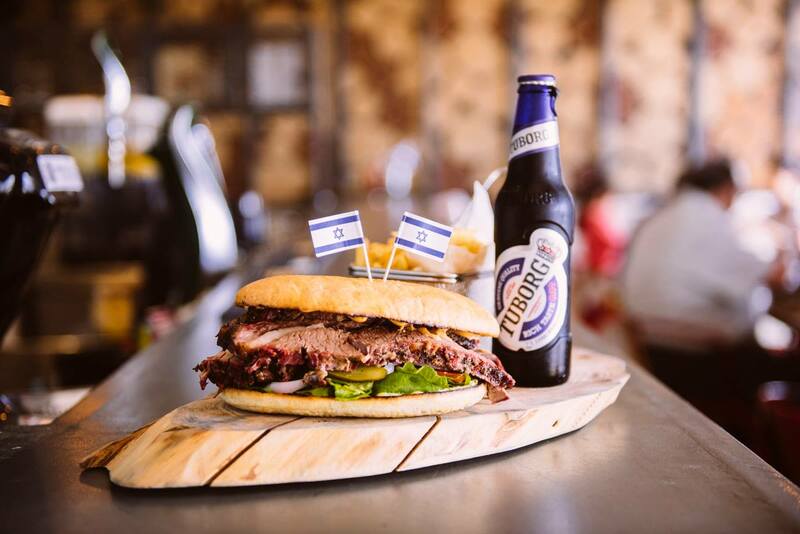 Ironically, some of the best kosher food in Israel can be found at gas stations scattered around the country. This new restaurant, Brisket Bar, makes exiting the highway worth your time, even if your tank is full. 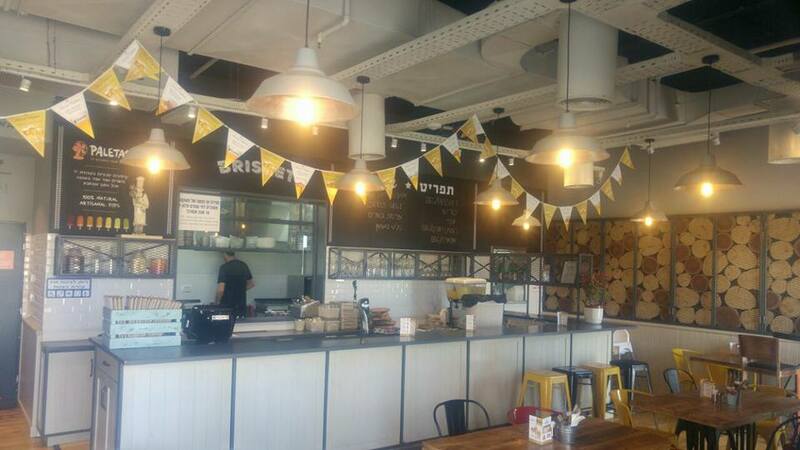 At Brisket Bar, located right off of Route 4 near Chadera – just north of Netanya, the smoker works 24/6 ready to serve customers with juicy and tender beef. Each cut of meat receives either a dry rub or marinade before it gets put on the smoker. 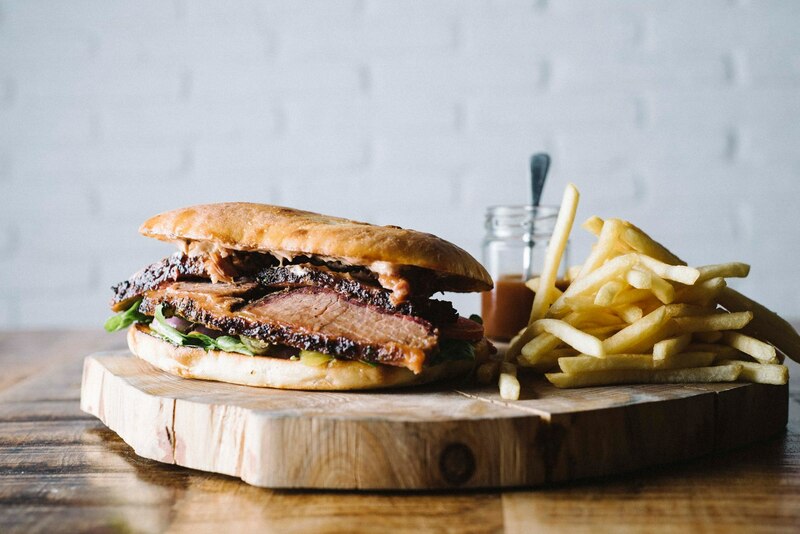 The new smokehouse serves up different cuts of beef in different styles for each sandwich. The classic brisket sandwich is served on white bread with vegetables and the house made aioli. Other sandwiches on the menu offer other cuts of meat, like the smoked chuck steak sandwich with pineapple barbecue sauce, pickled red onions and a pickle, or the smoked short rib sandwich; or the smoked chorizo sandwich, smoked sloppy joe, chicken, or tofu options. The side dishes offered include: coleslaw, baked potato, sweet potato, and fries. If you’re really hungry and truly craving beef, you can order the meat platter, which is one pound of a variety of smoked meats and sides.